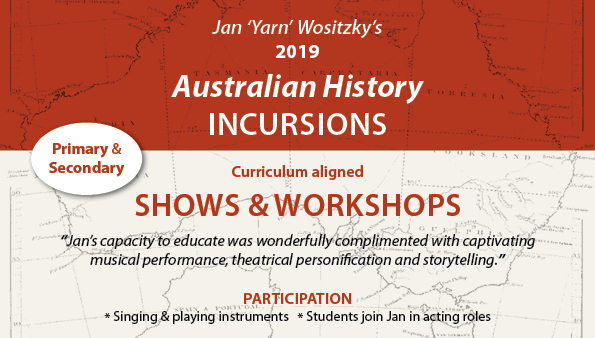 The show: JAN ’YARN’ WOSITZKY’S FAMILY SHOW is an entertainment for people of all ages: with song, music, dance, stories, puppets, jokes, and the audience taking part. It’s for any event where communities come together. Curriculum: Suitable for all Primary school levels. Format: A variety show that can be performed anywhere. 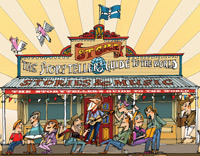 A free-wheeling hour of entertainment for all ages that bounces along from musical fun and dancing to hushed storytelling, stick puppets and daggy theatrical sketches, with Jan on 5-string banjo, mouth organ, spoons, bones and ukulele. Meet the World’s Best Violin Player (Vile Din), stick-puppet Jack the Dancer and Moo the dancing cow; there’s spoon dancing and kids playing spoons and other percussion instruments; sing-alongs and tales of city-slickers, tricky strangers and country bumpkins. 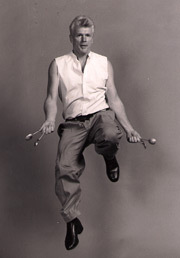 Jan ‘Yarn’ Wositzky began his career as a front man of the famous Bushwackers Band – which was three lifetimes ago. Since then he’s kept himself alive (in more ways than one) working in music, theatre, publishing, education, television documentary and radio, plus lots of travelling. And whatever he gathers en route is rolled into the show: great songs from all over Australia, home made toys from Indigenous friends, or sea shells that help Jan tell a yarn.